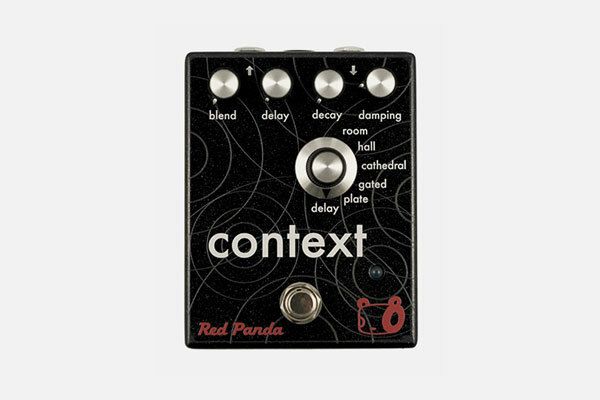 Context combines world-class reverb algorithms with a clean signal path. Algorithms are adjustable for the right combination of pre-delay, reverb time, and tone. There is also delay plus reverb, for that versatile combination in a single pedal. Made in USA. Requires a 9 Volts (center negative) power supply - not included (does not take batteries).